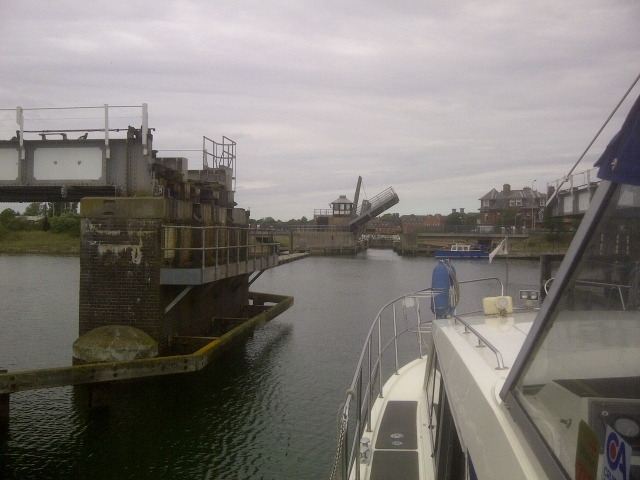 Our target was the 9.45am LT raising of the Lowestoft Bascule bridge which would precede a Mutford lock booking that I had made for half an hour later. There was ‘rain in the air’ but it never really rained hard and so I was able to accomplish this and set off for the bridge afterwards without too much discomfort. The lock proved to be a little testing and that was not what I had expected at all. 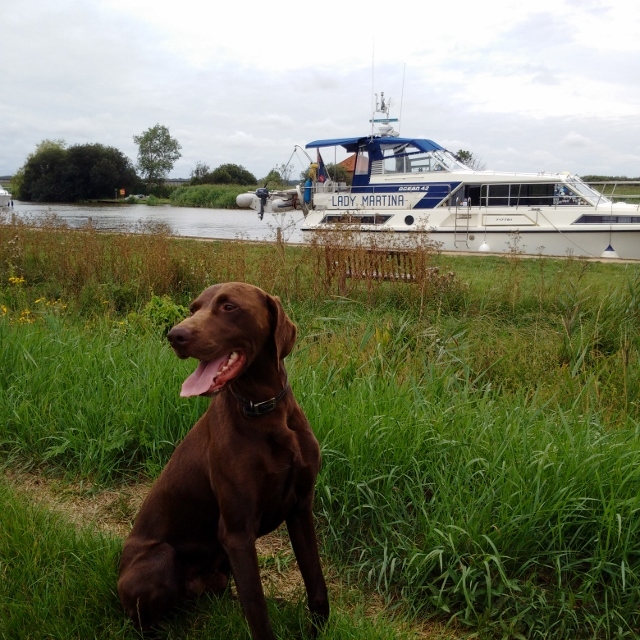 We were locked thorough in company with a sailing yacht and they only seemed to be using half of the lock to start with and the poor yacht had its stays tangling on our RIB as we were getting sorted out. This happened again as I prepared to leave as there was an unexpected tidle surge when the levels were established, making me think that the keepers had opened both gates or something. We slewed sideways, they gyrated about tangled but luckily no damage seemed to have ensued and so we carried on across Oulton Broad and along Oulton Dyke afterwards. 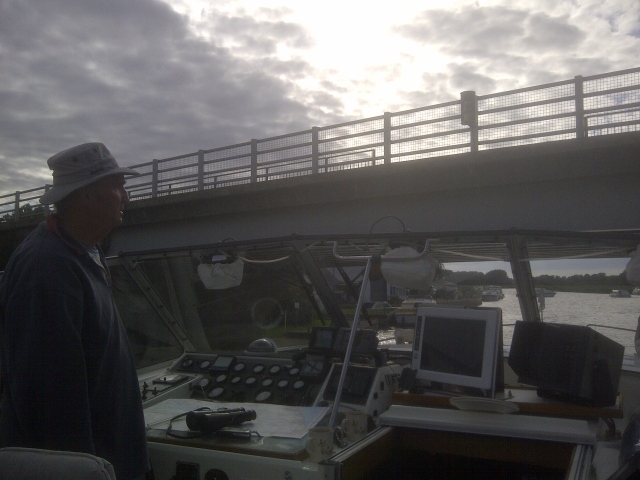 Eventually to Somerleyton Bridge who thankfully answered VHF Ch12 and gave us details of when to arrive and so I judged our passage well and arrived just on time at 10.25LT. Then some time moored and entertaining Maggie and Chris from Ikon after which I had called ahead to my old colleagues at the Yarmouth Yacht Station and their estimate of 15:51 LT was a little after mine of 15:39 LT and then we only just made their time of 15:51 by the time we arrived at the Bure Bridges. 22-27-22 degC; 72-29-53-59 %RH, 1025-1022mb falling slowly; overcast but warm and 8-12 knots breeze variable but mainly from the NE.